Kanishk Tharoor’s impressive short stories conjure the ancient past and recall long-dead myths and legends. Tales of Iskander the Great’s world-conquering campaign are joined with stories of an elephant being escorted from Kerala to please a Moroccan princess and an immersive account of phalanx marching to battle in Western Anatolia, 190 B.C.. But Tharoor doesn’t simply wish to tell his stories in the traditional sense: he is more interested in reviving a lost feeling. These legends will remind readers that there was once a time of legends, when fiction boasted lessons and efficiency, morals steeped in allegory. Tharoor is an effortless necromancer of ancient folklore and has composed in Swimmer Among the Stars a fine debut collection brimming with millennium-old nostalgia. Placed first in the book, the collection’s title story acts as a linchpin that informs much of the following works. In “Swimmer Among the Stars,” the last living speaker of an ancient language is interviewed by a team of young, eager ethnographers. While the old woman speaks of songs and tales, of a time when “over ‘there’ was still ‘here’,” it becomes clear her language is waning. As she explains her people’s words have lost their meaning over time, it becomes evident that there is a parallel transition with which her language struggles. As some words unintentionally fade out of usage, the world in turn grows more complicated, more technological, and new words can’t keep up. She builds cognates from existing vocabulary in a beautiful workaround: the story’s title, for instance, is how she translates the once-inconceivable word “astronaut,” swimming up there in the heavens. 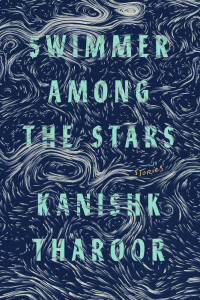 Curiously, Tharoor chooses to omit any character names from “Swimmer Among the Stars” and does so with many other stories in the book, such as “Tale of the Teahouse” and “A United Nations in Space.” What this does is trade empathy for circumstance, and while his scenes and their intellectual weight are memorable his characters often disappear into his stories’ substructure. In the outstanding “Elephant at Sea,” it doesn’t matter who is part of the convoy bringing an elephant across the country to a princess (although a few names are introduced later), it matters instead that its actions took place. That an imam inquired whether the elephant was Hindu or Muslim, and that the elephant had an innate affinity for water. The short vignettes that make up Iskander the Great’s insatiable exploits in “The Mirrors of Iskandar” and the adventures in “Letters Home” are each pared down to optimal efficiency, barreling on in a mere handful of pages towards a simmering, allegorical finale. 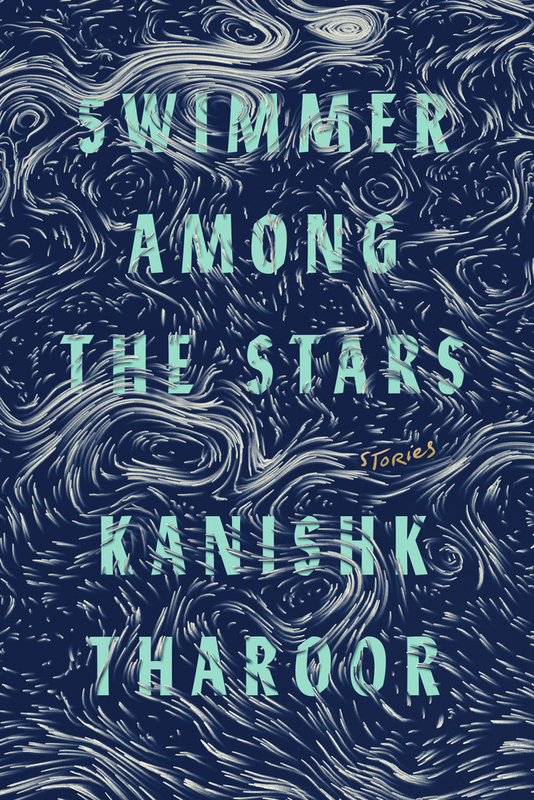 Countless moments in Swimmer Among the Stars resound with philosophical thoughtfulness, but too often Tharoor’s stories lack the cohesive spirit that pushes a work from a great idea to a great story. Memorable sequences are frequently wrapped in less-inspired frames. In one segment of “The Mirrors of Iskandar,” Iskander competes with the Chinese for superiority in various trials and they go head-to-head in a competition of artistry. A curtain divider is raised in a cave and for days the finest craftsmen of each entourage toil to create a masterpiece. Iskander’s side makes a lavish painting of kings and riches, but the Chinese men appear to have made the exact same piece. Instead of painters, they put their stonemasons to work and had them polish their side to a fine reflection. This is a stunning scene that would not be out of place in a Borges short story or a lost Platonic dialogue, but it could practically be slotted into any of Tharoor’s other works. This is a testament to Tharoor’s dreamy prose but also somewhat problematic. The cave story could have just as easily been regaled by the last living speaker in “Swimmer Among the Stars,” or told by one of travelers in “Elephant at Sea,” or be, entirely, one of the parables in the episodic “Letters Home.” While the fluidity of folklore is an interesting thesis, Tharoor’s ideas sometimes float to a fault, his stories often reduced to vessels for drifting allegories. Swimmer Among the Stars is a commendable debut by a promising new talent, showcasing an author with conviction but also one who is not afraid to experiment. Tharoor writes not only of place but of place in time and it is staggering in its ephemerality. “Geography is never flesh but stone, water and clay” he writes, “names and lines and vacant scratches of the plume.” One can’t help but imagine the glorious novel that Tharoor surely has in him, but in doing so many of the short pieces in the collection begin to feel like waypoints on a still-uncharted adventure. Tharoor leaves us like Iskander, yearning for more. Tharoor is an effortless necromancer of ancient folklore and has composed a fine debut collection of stories brimming with millennium-old nostalgia.